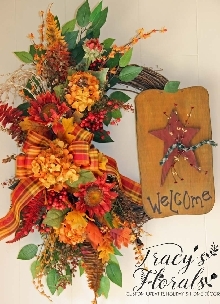 Country/Prim enthusiasts will love this spectacular pumpkin wreath. Filled to the brim with rust sunflowers, gold hydrangea, ficus leaves, bittersweet, berries, fall leaves, fall fern, wheat grass, plaid ribbon and more! 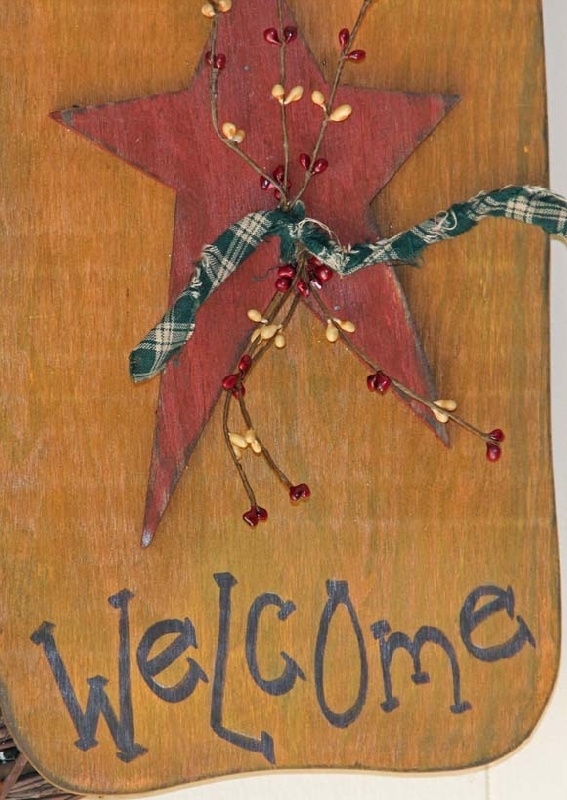 A large grungy welcome pumpkin with berries and homespun tie complete the look. Perfect indoors or on a covered area. 30" tall, 24" wide. Approx. ship time: One to Two weeks.